Begin your tour in the gorgeous highlands of Scotland with 3 nights in the luxury on site lodges at Castle Stuart. 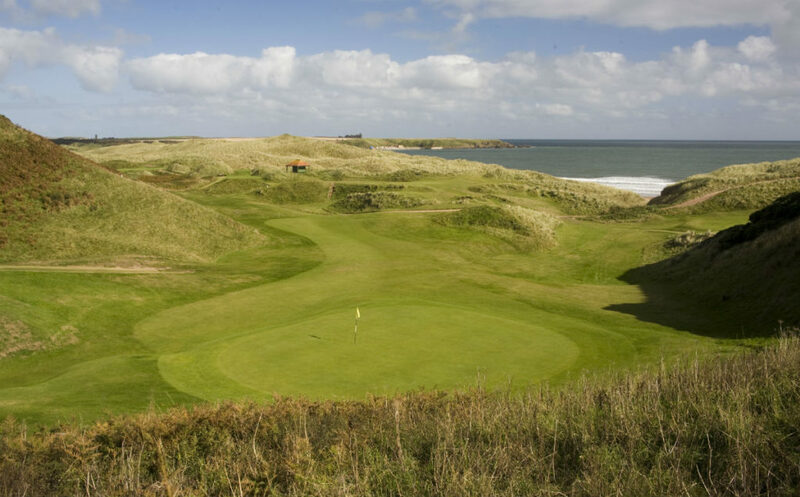 During your stay you will play 3 top courses in the area including the Championship Course at Castle Stuart and Moray Golf Club, a classic links designed by Old Tom Morris with one of the best finishing holes in golf! You will then travel to Meldrum House, country hotel nestled in the heart of Aberdeenshire’s tranquil countryside, where you will enjoy a 3 night stay and 3 more rounds of great golf including Trump International and Cruden Bay. Arrive Edinburgh, Glasgow or Inverness Airport, meet & greet by representative of Fairways Scotland. Collect your rental vehicle and travel to Castle Stuart, Inverness, where you will check into your accommodation on site. If time allows we recommend a visit to the fantastic new Macallan Distillery - a must visit if in the area! Check out of your accommodation and travel to Nairn. Afterwards travel west to Aberdeenshire and check into your hotel. This morning check out and enjoy a round of golf at your hotel. Afterwards travel to an airport hotel in preparation for your return flight home the following morning. The majority of flights arrive into Edinburgh or Glasgow however more options are becoming available to fly directly to Inverness and or Aberdeen Airport. The above package includes an overnight stay at an airport hotel on final night, however depending on your flight arrangements adjustments can be made to the package.